It has been an interesting start of the year to say the least! We have already had a Google Update and it seems like the organic world is getting more and more theme based! What does this mean? 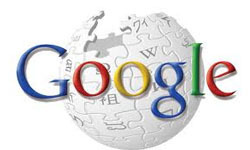 It simply means that Google is becoming more and more interested in discovering the "theme" of your website and will do this by indexing the synonyms to all of your content to help them ensure they are giving the best results possible. It seems like Facebook is yielding fantastic conversions in Google's traditional Pay Per Click style. This is the first real manageable and instantly effective alternative I have seen outside of the traditional pay per click methods found within Google Adwords, Yahoo! Search and Bing AdCenter. Congrats to Facebook for launching a simple interface that will surely become more and more intuitive. 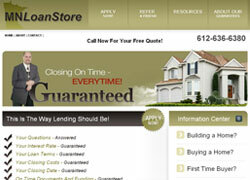 www.mnloanstore.com – the purpose of this project was to deliver a simple interface that cleanly showed the visitor the leader of the company, and core purpose in a simple, WEB 2.0 style. 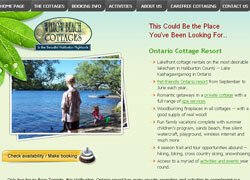 www.willowbeach.com – interested in a small town cottage getaway in Northern Ontario? This delightful site uses a simple template and integrates all kinds of programming technology. 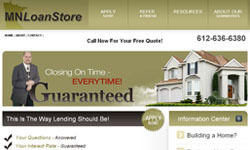 A good example of how a template can be customized to serve a clients purpose. TechWyse is pleased to roll out the new year with a 'difficult to resist' promotion. If you are interested in using Facebook, now is the time to try it out. For this month, we are waiving our setup fee (which includes banner designs and setup) to get you going on Facebook. You have the ability to target your users based upon age, gender, interests, and education — very cool! 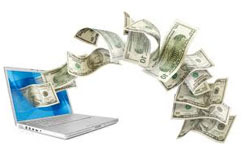 Want lower cost per clicks? Now is the time! Monthly costs are as low as $125 per month. Internet Marketing and Development Partner Program – have a vertically aligned business and looking for a competent company to partner with? Experience the unveiling of the new TechWyse Internet Marketing Reseller services. Our partner program is ideal, for traditional marketing agencies, public relations companies, advertising agencies and web development firms.